4 So Why The Free eBook? Well, it’s my birthday today – so I ALMOST had a day off, except…. my son and family were coming to see me, but they had car problems and got delayed coming back through France (Russ lives in Spain). Anyway, my lovely sister scooped me up for a birthday meal yesterday and Russ and all his girls will be with me on Monday. So although it means I will have had two days of birthday treats, that left Sunday – my actual birthday – with a bit of a gap, which of course I decided to fill by working! So much to catch up on…. Never mind – birthday chocolates and wine are on hand for this evening and I shall treat myself to a quiet evening, looking forward to my delayed visitors arriving tomorrow. It’s written for people who want to start an online business, but either don’t have a blog, or they have a blog but it’s not yet performing as well as they had hoped. 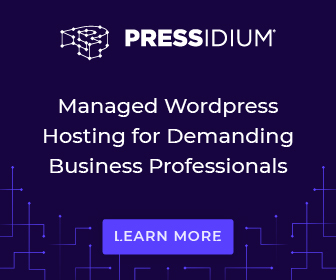 I firmly believe – and I’m sure regular readers will agree – that you should base any online business round a self-hosted WordPress blog. My new, free, eBook goes into more details of “why”, “how” and what to do to get beyond the basic “Hello World” stage. It’s not about complicated stuff like coding and CSS. I know many people enjoy that and are good at it – but I believe you can still have a successful blog without that. Happily I am starting to see sales from my own blog (here) that prove the point! 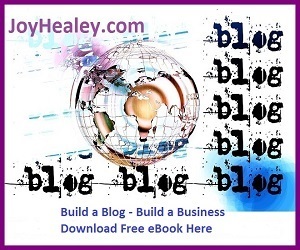 If you think you could benefit from these tips, please download a copy: Build a Blog, Build a Business. And as if finishing that off wasn’t enough to have on my plate this weekend, I’m not far away from the launch of…. Drum roll….. I’ve talked about it for long enough, and finally my first “paid-for” Internet Marketing launched. There have been a few teething problems, but hopefully getting there now. Anyone who has ever done this will understand, I’m sure! The product is also an eBook, and it’s the result of my coaching with Neil Stafford – mentioned earlier in the year. It would have launched a long time ago if it hadn’t been for my parents’ ill-health crises, which obviously took priority. Fortunately, Neil and his right-hand-man (and techie guy) Pete waited patiently for me to be in the right place “in my head” to finish the process. 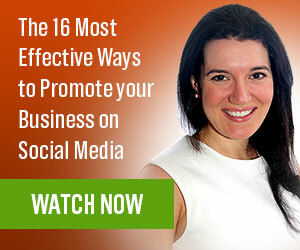 My first “paid-for” product is about Social Media, with an emphasis on using the main social media platforms to get traffic to your blog – which should be the heart of everyone’s business. It’s aimed at people who have already been able to set up their basic social media profile (so not for absolute beginners), but for people who – having got the basic pages set up – want ideas and resources to take them to the next level. So Why The Free eBook? I decided that my “product portfolio” needed my free “Build A Blog – Build A Business”, because there seemed too big a gap from the Social Media eBook that is encouraging readers to direct people to their blog, when most of the purchasers probably had no blog to point at! So, hopefully the free eBook, which will be an unadvertised give-away within the paid eBook follow-up emails, will bridge the huge gap that people face between making a few hopeful posts on Facebook and Twitter, and building a genuine business on their OWN blog. The chocolates and wine are calling… So with apologies for a short post this weekend, I will go put my feet up! 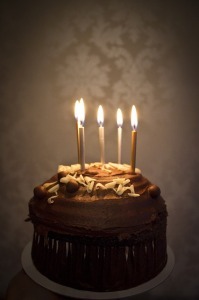 Happy Birthday Joy, and congrats on both your free and paid eBooks! Very exciting times! I released 10 books in a 4 month stretch earlier this year, and there are few better ways to find your audience, to build your brand and to establish your credibility than by publishing eBooks. Really, they’re my fave and now that I’ve published so many that’s pretty much my wheelhouse outside of blogging. But for the moment it has to be balanced with my day-to-day business to pay the bills. Your example inspires me that one day I will get there. One eBook at a time, and I guess two in one month is a good start! It’s been a good birthday thanks, despite the disappointment of my “lost” visitors. But – I have them to look forward to on Monday! Thanks so much for your good wishes of encouragement and congratulations. Exciting (and scary!) times. Congratulations on completing both your free and paid eBooks! I released my first book a few months ago, and it was a great experience. Releasing your own product is very exciting, and I can’t wait to see how it turns out for you. My personal goal now is to write a minimum of one a month. I’ve found the first book is the hardest, and good books can be written out relatively quickly once you got a system in place. Hopefully these books will be the first of many to come! Wishing you success with sales, Joy! Thanks for your good wishes, and I’ll keep you posted! One a month is probably too ambitious for me, given my other commitments, but I’ll certainly do another when “things” have settled down. You aim for one a month is a great goal to have and I wish you every success. Keep in touch and I’ll love to hear your progress. We just wished you too at the ABC (Aha!NOW Blog Community! ), and wishing you every success and joy – always. Wow! That makes 2 eBooks- lots to read and learn from you I’d say. I still need to find that quiet time to sit and write mine, and that’s something I plan doing in the new year for sure – somehow! I’ve just “got back” from your community, having found that super banner you made for me. Fellow bloggers – do visit Harleena’s blog and join her community – it’s a great resource. Well, the free ebook is “up” and the second is almost there. Can’t say it won’t be a relief when it’s finished. We’ll all look forward to yours too. Hope you’ve enjoyed the birthday goodies, you certainly earned them! I downloaded the free ebook and will get your new product as well. Good luck with both. Like you, I prefer reading to video. But, we’re among the minority, I fear. Enjoyed my birthday thanks – although it’s still continuing today as I have my son and family arriving later (car permitting). Hope you enjoy both books – thanks for your continued support. I really appreciate it. Rushing now to child-proof the house. Lucy is crawling now!! Thanks for downloading the ebook and I hope you’ll find it helpful. I prefer reading because if I print the book or course out then I can make notes on it, also I can easily find bits I want to review, rather than trying to skip through a video. Glad I’m not the only one! Belated birthday greetings Joy. Hope you had a memorable day. Nice to see someone else working hard on a project. I am trying to get my first product and sales funnel out there and have also been blogging about it. Hope everything goes well with your launch. Thanks for your good wishes – it still counts as my birthday as I’m expecting birthday visitors “soon”! Gosh – I just read your post and my “busy weekend” pales into insignificance compared to yours. Take care not to overdo it. Anyway, thanks for the good wishes for the ebooks. The free one is fine, still a little delay on my side for the paid one. Hope yours will all go well too. Happy Birthday Joy. I am glad to see you had a good day and that you have so many cool things going on with your business. I am halfway through the list building challenge, so once I am done with it I will grab your e-Book. I love to see what other folks in my industries are doing. Glad to see you’re keeping up with it – Sue does some amazing challenges. LOL – I must confess as I try and balance finishing my product off while preparing for visitors and fit in birthday outings I’m not honestly sure I rank this as one of my better “decisions”. And truth be told it wasn’t so much a “decision” as a slipped goal ! But – hey – better slipped than missed. I’ll get there…. Welcome to my blog and I hope you will find other posts of interest, Thanks for dropping by. Happy birthday, Joy, hope you’d a good day! Have a good Christmas, keep well! Download and read at your leisure, and I hope you will enjoy it. Happy Birthday and Congratulations on your product! So much to celebrate and well deserved. This is a great feeling and I am so happy for you. Thanks for your congratulations and good wishes. Few panic moments today, but think I’m getting through it. I will be honest and confess that a lot of the technical stuff and hooking it all together has been done by my coach, as part of the package I signed up for with him. I’m learning as I follow on. Yes, feeling good to have got this far! It happens all the time! Just when we think everything is in place…a glitch happens. David does most of the technical stuff for us and when I see him pulling his hair out, I know we have a glitch lol. After a while you just get used to it. Glad your coach is doing this for you. Ah, the beauties of having two of you in the same business. Well done for managing that – I know from experience that can be a challenge in itself. One that you are successfully managing! My son also handles a lot of technical stuff on my computer for me, but I can’t get him interested in blogging so he doesn’t know WordPress. He’s more of a connectivity and geeky stuff guy. Yes, there’s always another glitch round the corner and I’m resigned to it now. No chance to get bored! When I have a few more replies I’ll certainly write more about my Survey Monkey results! In the meantime I’m having mild hysteria getting the product finally launched, and starting some promotion for that. It was my elder son and family who visited me, plus my two lovely granddaughters. It was only a fleeting visit as they’re now on the way north to visit my parents. My other son and his wife will be spending Christmas with me and my parents. Confused? I am!! Thanks for downloading my ebook – I hope you will find it useful. I’m afraid all the videos I have made so far have been confined to the recycle bin – never to be restored. At least, the ones with me in them. I made one or two in my health niche using Animoto. If calm ever returns to my life I must use Animoto or something to promote my ebook! Good luck with your training course videos – you’ll be great. Happy belated Birthday my friend and I hope you enjoyed your special day despite everyone running late and you ending up working. Looks to me though that you had some fabulous announcements to make through this post with it being your birthday, you finishing your free opt-in eBook and now the release of your new paid eBook. Those are some great accomplishments and I have no doubt you’ll do very well. Congratulations finishing them both and eager to hear about their release this week. Enjoy your week now and hope you had a great time yesterday with family. Thanks for your good wishes – yes an exciting week. Complicated (pleasantly) by the family visits, but – hey – it wouldn’t be “me” if it went according smoothly. Downloading your book after this cimment. And look forward to your launch. Have great success and many more to come! All the best. Thanks for your good wishes. I had a lovely time with the family. Hope you enjoy the book – and I amended my post because my Social Marketing Beginners book has now launched! Hooray. Although it didn’t happen ON my birthday, getting it finished and out there was a great birthday present! OMG I’m late on this. Are there still some birthday cakes? I remember abandoning my warriorplus.com account due to Paypal issues in my country. Things are better now and I think I’ll have to check back on that account. Congrats once more for releasing both product. Coming from you, I have no doubt there is real value inside. > Are there still some birthday cakes? And further apologies for having been absent from your own excellent blog for far too long – but you can see why, from the above post. I’ve just been stretched too thinly of late and running to catch up all the time. Just hoping for a calmer few days now. However, even after the stress of it all, I must admit to a sense of satisfaction when the ebook finally went live – and even better now that sales have started coming in too! Thanks also to Jackson for the Christmas gift – I was lucky enough to grab one before they all went. Happy belated Birthday Joy! My gosh you have been busy. Congrats to you! I already know that it going to be an awesome eBook. I am very interested to read it myself. 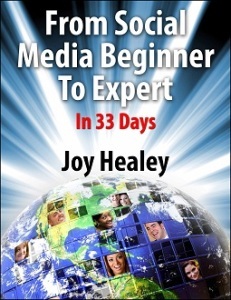 Your free eBook will be a great intro into your Social Media eBook. What a very smart idea! I wish you great success. I look forward to following you in 2015! Yes, it’s been a busy few months. I hope you will enjoy the book. If you have any issues receiving it, please get in touch as I’ve had one or two teething problems. Never easy! Anyway, thanks for your good wishes and we’ll certainly stay in touch in 2015. First of all, happy birthday to you again. Congratulations to you on launch of the both the ebooks. It is wonderful how you are launching two ebooks at once. No wonder you have been so busy lately. It has in fact turned out to be great that both books are released together since they are complimentary to each other. I wish you all the best for both the products. At one level it seemed madness to release the two together – but it does make sense, as the free one can promote the paid one! Fingers crossed. Happy Birthday and Congratulations for a wonderful achievement. I am sure your product gave you so much sleepless nights and busy days. It is great that it is finished and ready for success. Many Happy Returns. God bless you. There have been some panic moments after the release, as well as sleepless nights up to it. But let’s hope it will all be worth while in the end. 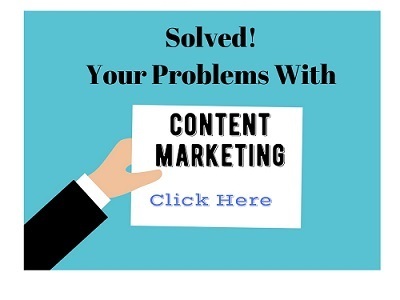 I’m glad you requested the free ebook – yes, that’s the plan – that once people have got their blog set up, they will continue on to need the paid eBook to help with Social Media, plus more advanced courses. Thanks for the birthday wishes, and for dropping by. Here comes a bit belated Wishes from Philipscom & Associates. It’s indeed a great privilege to be here again to check out this wonderful giveaway. Thank you for the lovely eBook, I just downloaded. What a coincidence a gift to your readers on your Birthday. That is really lovely. Well written piece! I just had a glance at it, you did a wonderful job on this piece, I appreciate your writing skills. Keep it up! Keep writing and share it with your esteemed readers. Well, they say it’s better to give than receive, so – yes – my birthday gift to everyone is the free eBook. I’m glad you liked it and hope you will find it useful. Hope you enjoyed the day even as you were waiting in anticipation for Russ and his girls..
It’s good you launched your product, both free and paid, that’s a lot of powerful tips to read from you. Thanks for sharing, and do have a wonderful day ahead..
I’ve had a great few days thanks. Russ and the girls have left now, and next week Matt and his wife ELke and their dog Bailey will be visiting to spend Christmas with me. It’s a wonder any work gets done in December. However, I can relax a little now that my two books are launched. Happy Birthday! I’m sorry I’m a little late to the party. I love what you are doing and I need to be a much more regular reader of your blog. 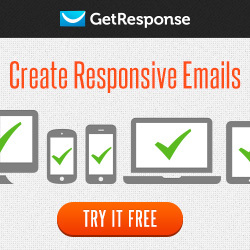 In fact, I’m going to join your email and I look forward to reading your ebook!!!! I’m working on my through the holidays and in fact I’ve decided to write on free one per month and then eventually I’ll move them over to paid from free, or do a variation. It’s good to finally connect!!! I hope you have an incredible weekend and a Merry Christmas! Welcome to my blog, I am so pleased you found me and I hope you will find plenty of helpful information here:-) Thanks for downloading my ebook. I will also be working quite a lot of the holiday time. Funny how it used to be a two day holiday and now – in the UK at least – it’s expanded into a two WEEK one. However, that works well for me because my offline clients are closed, which means I can progress my online business. Nevertheless, I hope we will both have some quality time over Christmas. Yes, very pleased to connect. Thanks for your visit. It is great to learn about your premium product and wish its more success. The topic of the post is so eye-catching and happy to click it. Had I not clicked it, I would have been unaware of your joyous moment of your life. Thanks a lot for sharing your knowledge and happy moments. So glad you noticed my “title” and that encouraged you to read this post. I know that titles are an area I have to work on! I had a lovely few days over my birthday. It’s a little late, but so glad you enjoyed your birthday! And big congrats of the launch of your first paid product! Happy belated birthday!LOL! Hey, as far as working on your birthday goes, take the work anytime you can get it!LOl! It certainly make for some interesting reading! All the best BTW going forward with your launch and in 2015 and beyond! Thanks for your good wishes – for both my birthday and the product launch. Birthdays near Christmas aren’t the best …. I think I should be like the Queen of England and have an official birthday sometime in Summer. The product launch was scary and lots of stress and worry involved – although I have to confess I had a LOT of help on the technical stuff from my coach. Next time I think I’ll be expected to do a lot more myself LOL.